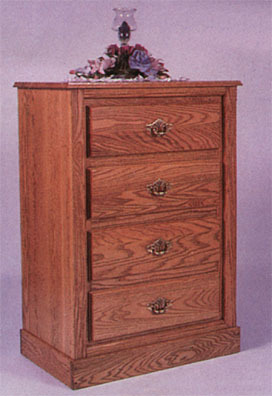 Like all of our fine Amish furniture, the changing stand is sturdily built of solid oak to last a lifetime, and finished to your specifications. The small size assures it will fit in almost any room. Also available in solid cherry for an additional charge. 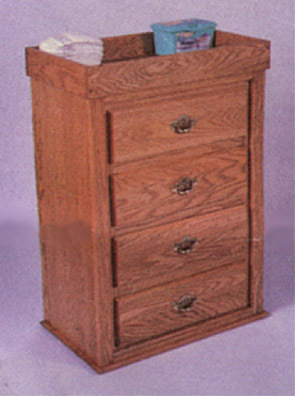 .... and then flip it over when your child is older and it becomes this handy 4-drawer dresser!